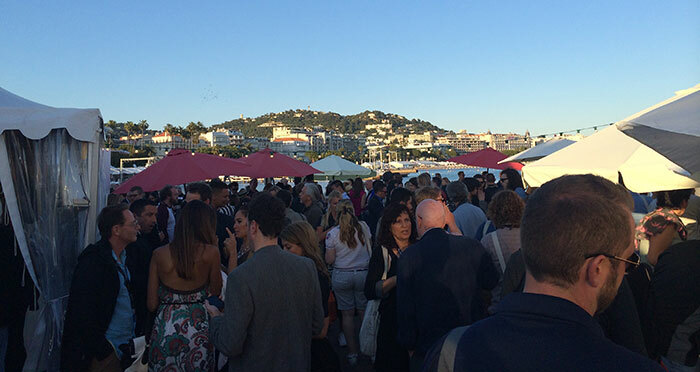 Filmmakers from all over the world flock to the south of France each year to gain support for their projects at the Cannes Film Festival. This year, DJI highlighted its filmmaking tools to creators who want radically new ways of capturing their vision. 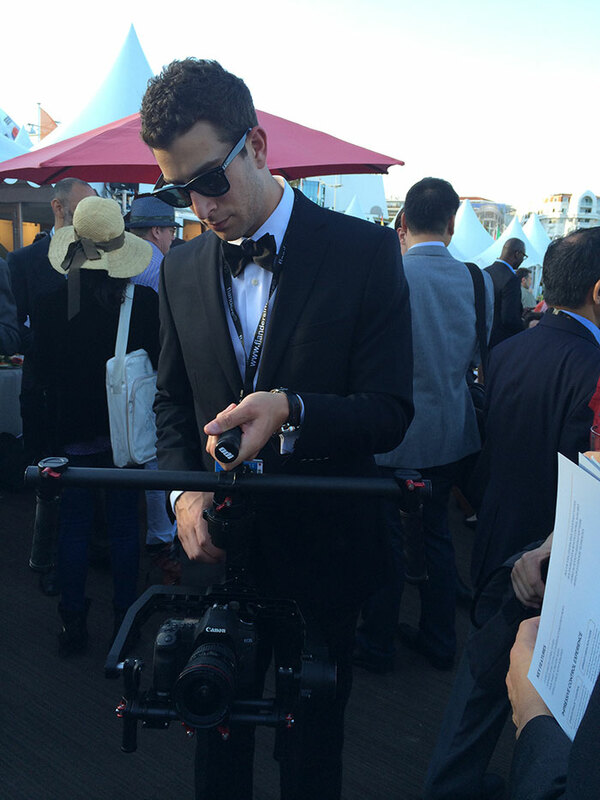 During the festival, DJI performed several demonstrations of its soon-to-be-released DJI Ronin handheld stabilizer. Filmmakers got to spend hands-on time with Ronin, testing its several shooting modes and seeing how easy the system is to set up. The Ronin was a particular favourite among students and film school staff that wanted to use the system for creating elegant tracking shots with a minimal crew. 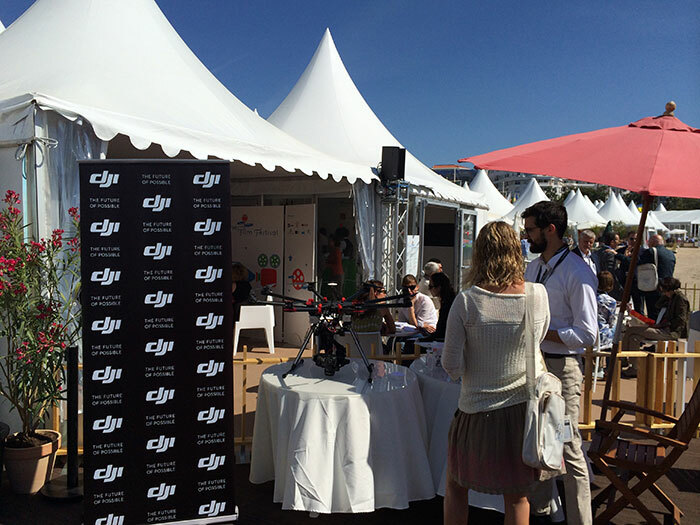 DJI also presented its S1000 and Phantom 2 Vision+ aerial camera systems to filmmakers at the American Pavilion, the home of several key filmmaking presentations during the Cannes Film Festival. With a stabilized Canon 5D MkIII, the S1000 broadcasted live images for filmmakers to view while it flew at the Pavilion. 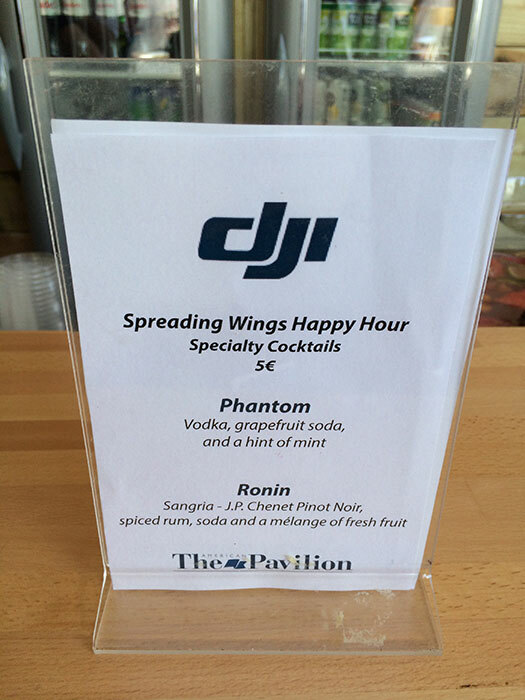 Likewise, demos of the Phantom 2 Vision+ drew the attention of aspiring aerial filmmakers who found. *Please drink responsibly. Never drink and operate DJI products.